At each table then you could try a range of red or white wines from around the world. Interesting for comparison between grape variety between wineries and countries. Following is a list of a few wines I quite enjoyed from this tasting, and all will be available in BC. You can check the Charton Hobbs website to see if the wines are available in your Province. Moet & Chandon Imperial NV, France ($65.49) – Dry and creamy on the palate with high acidity that bites your tongue followed by citrus and toasted flavours. Moet & Chandon Nectar Imperial NV, France ($71.99) – Off dry (demi sec) with very light light creamy bubbles. Citrus with a hint of orange and some herbal/green tones. Although I am not a fan of sweeter wines, I quite enjoyed this champagne. 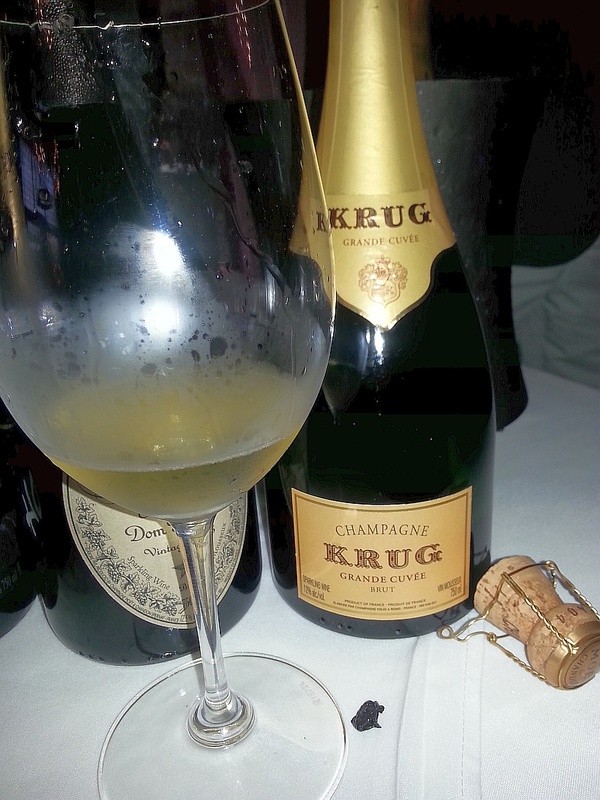 Krug Grande Cuvee Brut NV, France ($255.95) – Light lees and some toast on the nose. High acid, small bubble, with red delicious apples and citrus on the palate. A fine wine for a very special occasion. Sorry only 1 white wine here, not because there were not any good white wines, rather I showed up to the tasting late, and only had time to taste the sparkling and red wines. 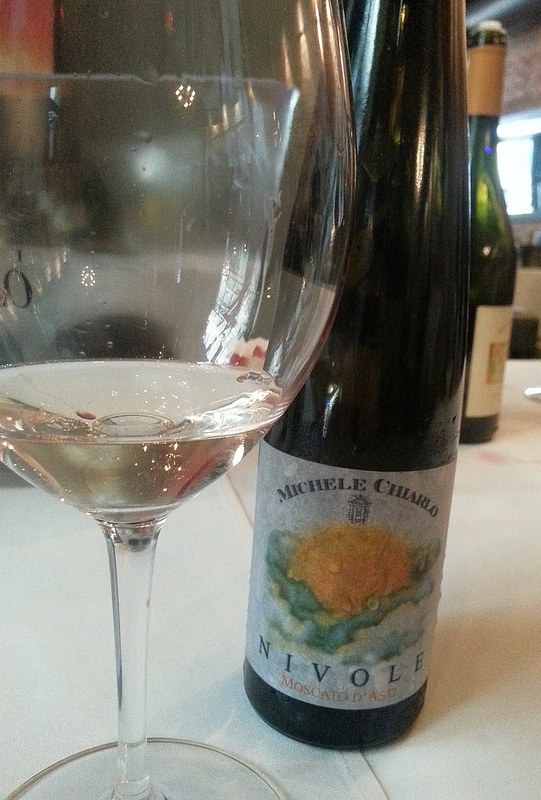 Michele Chiarlo Nivole Moscato d’Asti DOCG 2011, Italy (SPEC $17.99) – Nice lychee and orange aromas. Medium body, off dry (medium sweet), with light acidic prickle. Lots of lychee and a hint of orange on the palate. Dry finish. A fun and tasty wine. 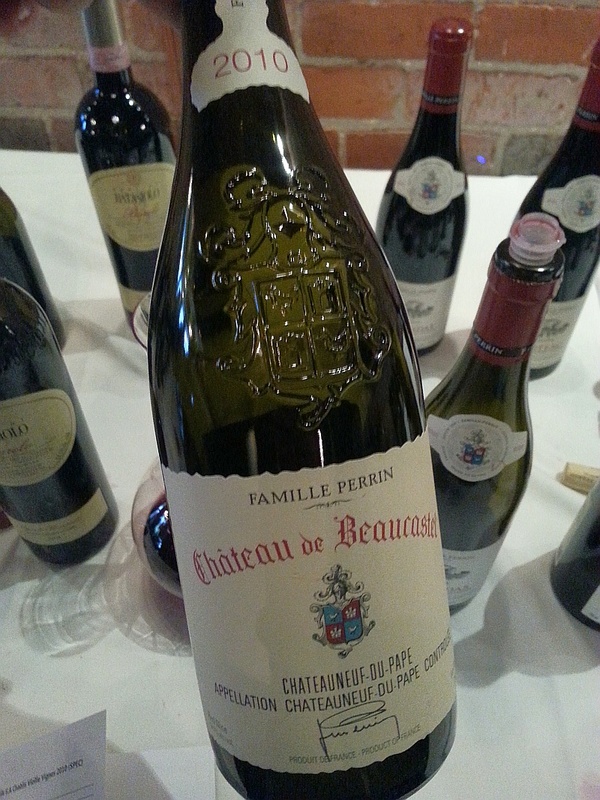 Chateau de Beaucastel Chateauneuf-du-Pape 2010, France ($92) – Bright juicy cassis nose. Medium body with fine tannins. Lots of minerality with subtle cherries and some spice. Spice and oak on the finish. An elegant wine. I think my favourite of the tasting. Perrin Reserve Cotes du Rhone Villages Rasteau 2011, France ($21.98) – Light dried herbs, cherries and vanilla aromas. Full of red cherries, raspberries, vanilla and oak as well as a nice mineral component. Dry with medium tannins. Batasiolo Barolo Vigneto Boscareto 2006, Italy ($62.95) – Nice roses, dark fruit and oak on the nose. Full body, dry with medium plus tannins that build in your mouth. Medium intensity cherries and ripe plum flavours. Medium acidity. Nice. Benziger Signaterra Pinot Noir 2010, USA (SPEC $74.99) – Smoky, earthy nose. Medium body and feels “firm” in your mouth. More earthiness on the palate along with cherries, followed by violets and vanilla. St. Francis Cabernet Sauvignon 2009, USA ($29.99) – Juicy cassis and vanilla nose. Hint of capsicum/cedar, ripe cassis and black fruit. Dry, medium acidity and fin tannins. Light vanilla flavour on the finish. Good quality wine. Cakebread Cellars Zinfandel, Red Hills Lake County 2008, USA (SPEC $37) – Jammy nose along with chocolate and cocoa. Full body, dry and soft in the mouth. Ripe smoky raspberries, black cherries and spice on the palate. Tannins pick up toward the finish. Very tasty. Sequoia Grove Cabernet Sauvignon 2010, USA (SPEC $58) – Dark fruit and cassis aroms. Full body, round, with a softer tannic backbone. Dark fruit and cherries followed by tea leaves on the palate. A touch of light oak and vanilla too. Dry finish. Elegant.